Can a design decrease the efficiency of a site? The design of a site has to generate a certain behaviour that will help users to solve the task for which they have come to the site. In order to make our point this week, I will work with an example experts of my team have worked on. 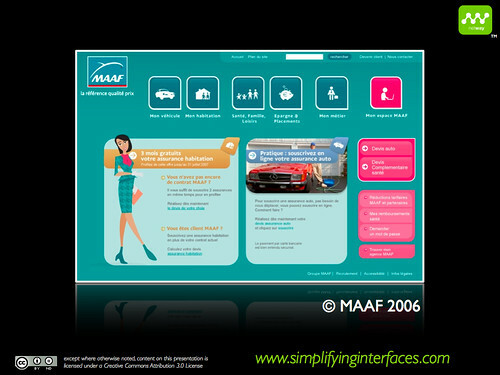 This was during a mission together with Internet experts of the insurance company MAAF in France. To make things a bit more clear, here are the different steps of the mission. support the communication agency in the creation of two styles of graphic designs. Afterwards, we have tested these designs with real customers in order to choose one final design (both were valid options). We wanted to choose the design that corresponded best with the business objectives. So, which design do you think was the most efficient? A or B? A first important point: an expert doesn’t share his opinion because the only efficient way to know the answer is to use a test battery to gather objective data. However, the expert will make hypotheses that will help to improve the designs. 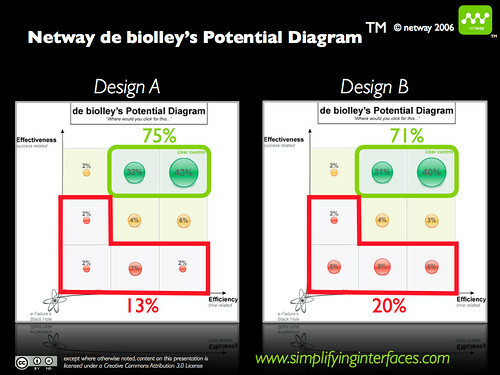 And here are the results of a unique model Netway developed in 2006, called the “Netway de biolley’s Potential Diagram”. This model allows for a comparison of the results of the scenarios performed on the two designs. The tasks on design A had a success score of 75%. And that’s where you see the value of behavioural techniques. Imagine for a minute what that means: the site doesn’t exist and our experts have built interfaces that will already reach a success ratio of 75%! 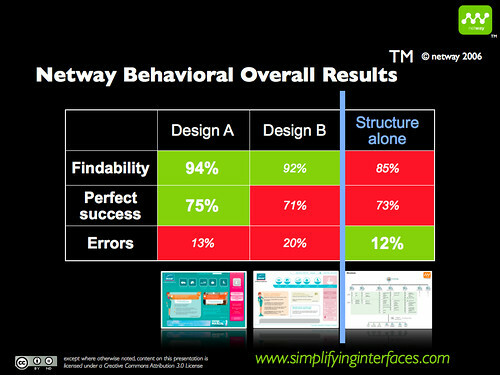 The tasks on design B had a 71% success ratio. Furthermore, this design increased the number of errors by 7%, compared to design A. The above results already indicate how to answer the question of the week. 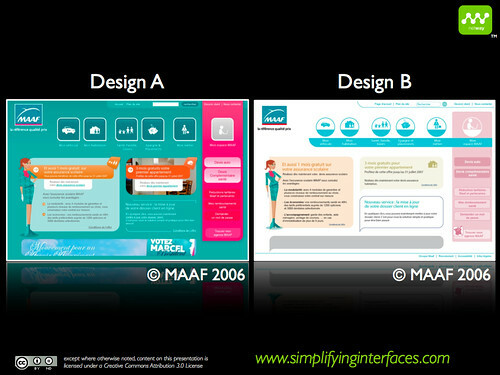 Yes, there are differences between one design and the other. When we were creating a navigational system, the interfaces didn’t exist yet. We have tested the tree diagram with real customers. Design A generates 1% more errors compared to the structure alone, whereas design B generates 8% more errors and decreases the perfect success by 2%. The above results give us a second indication to answer our question: yes, a design can decrease the efficiency of a structure. Here’s the reworked final version, in order to reach a minimum success ratio of 80%. What I am showing you today is but a small part of the work done during this mission. 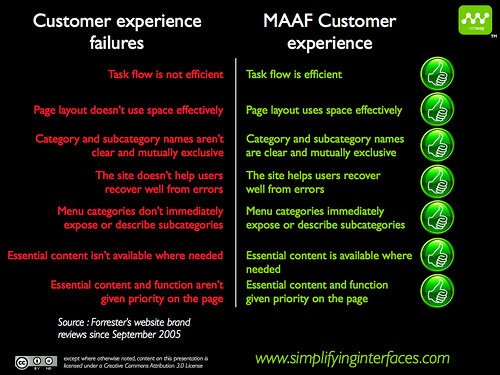 But the result helps us to generate an optimal customer experience! I wish you an excellent week!